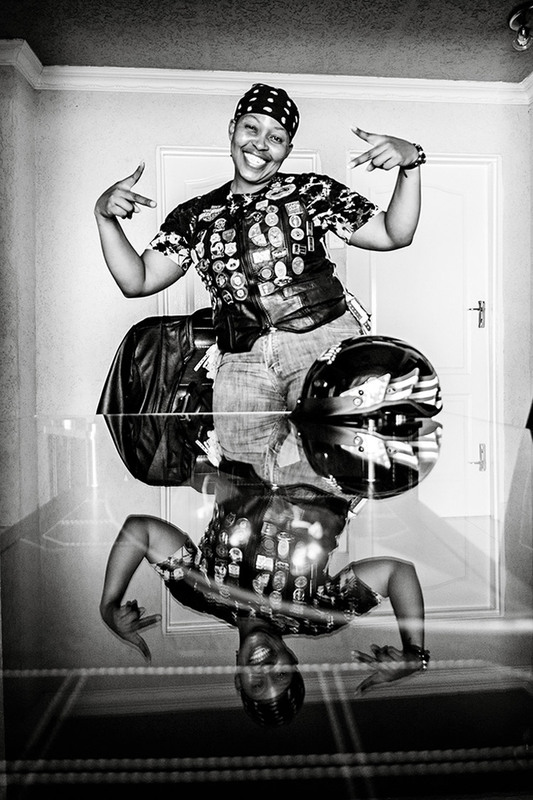 Nelly aka ‘Star-Lady’ is a single mom with two boys and she lives in Soweto. Nelly is a keen biker and member of the Hoodratz Motorcycle Club. After enduring her parents’ unpleasant divorce as a child, she learned from a young age to be independent and to work hard for everything in life. She wished to pass these values onto other women in her community. 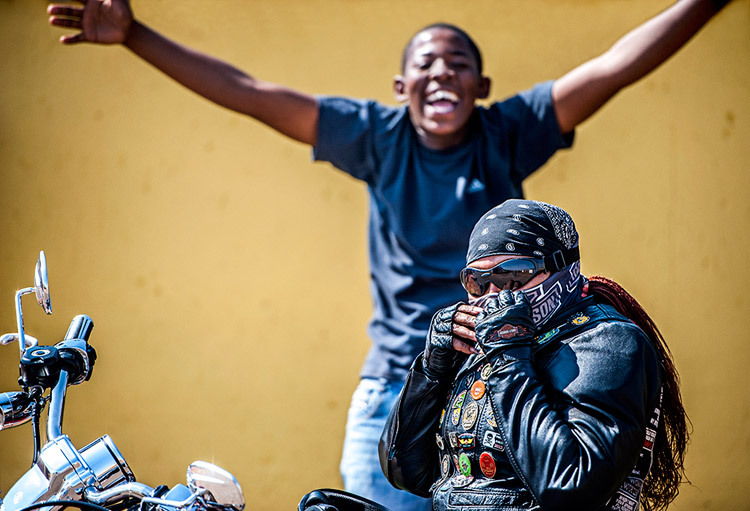 It wasn’t long before her mission lead her to the Hoodratz; a motorcycle club who’s ethos claims a “club that would be represented by individuals whom live in every hood…” The name Hood having been derived from Ubuntu culture, which preaches “taking care of one another” within an ambiance of “Brother Hood, Sister Hood, and Father Hood.” In the Hoodratz she found the perfect soul-home for herself and women like her. The fact that they had a common love for motorcycles, only amplified the message. On their regular ‘breakfast runs’, Nelly found the opportunity to hang with like-minded souls, those who believe that biking provides a sense of belonging. 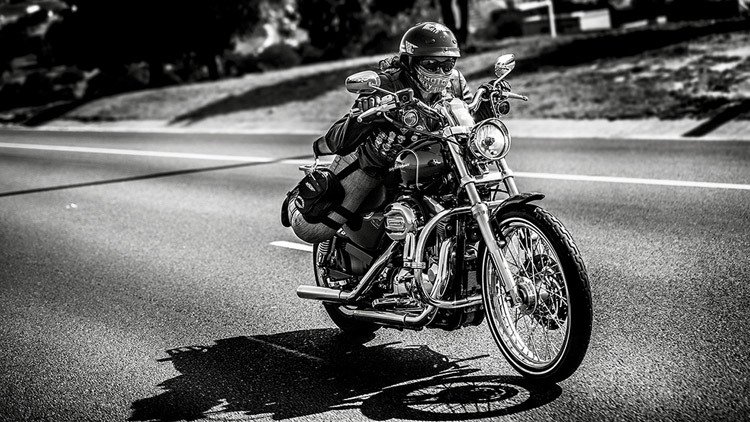 “Riding in a group is always better than riding alone,” she says with a smile. 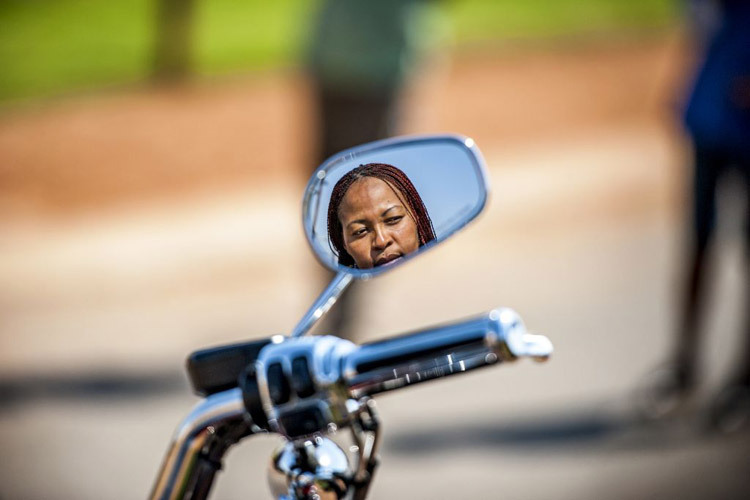 On most days Nelly can be seen riding her Harley Davidson along the N1. Nelly sports her biker leathers and badges from all the rallies she has attended. Nelly’s son sees her off on her next ride. 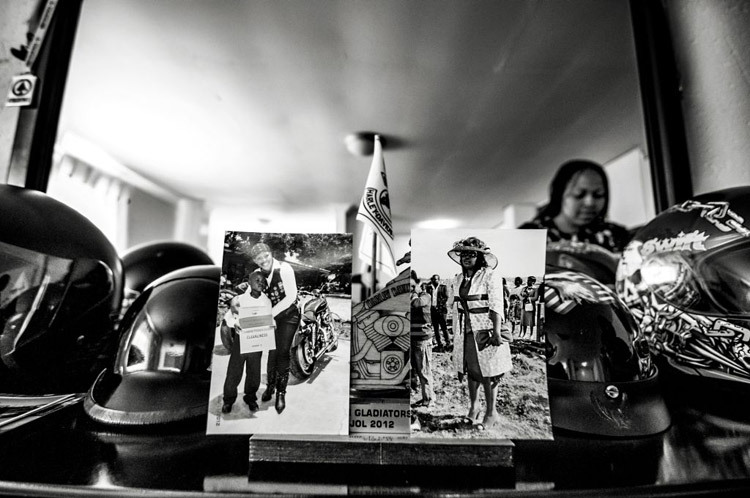 Photos on her dressing table displaying her “true feminine side” are juxtaposed by her biker collectables. 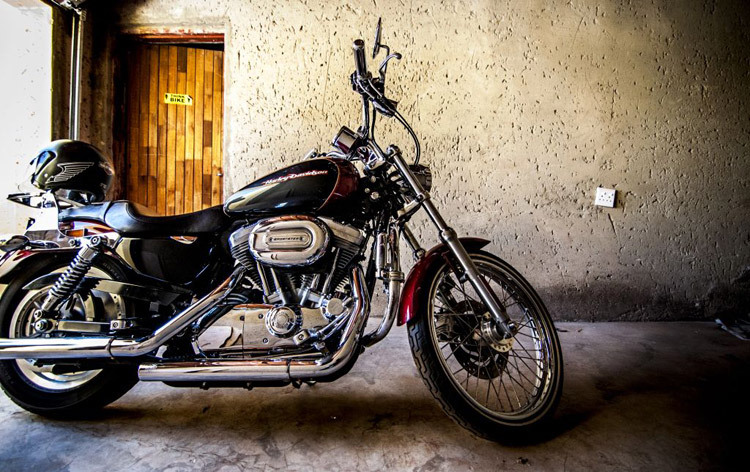 Nelly’s beloved Harley goes by the name ‘Bonolo’. *Images form part of Janeke Wissekerke’s ‘Making Lemonade’ photo-series, which focus on the inspirational people she encounters in her life. **All images © Janeke Wissekerke. Wow she is the best soul i ever met!! m glad i had a chance to meet her in person, she’s has a sense of humour *hood* keep rising for all the woman in Mzansi!!! 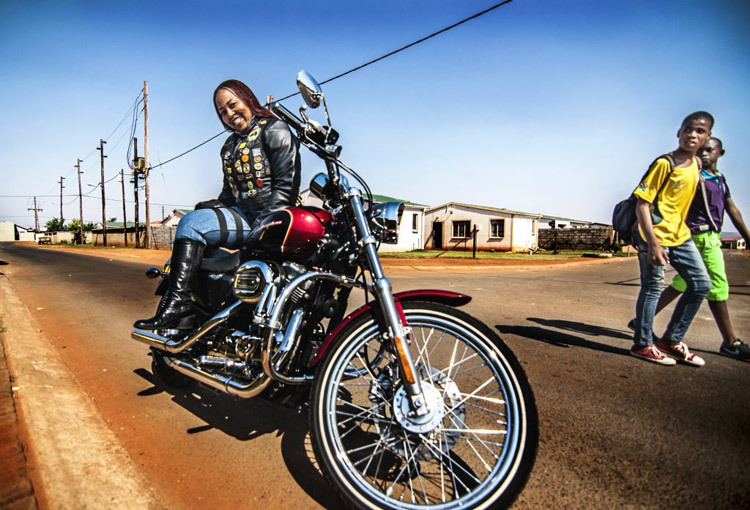 Halala Star Lady doing it for the Sisters keeping it level headed while some of us go hoo haa in the craze of our bikervillage. It is necessary to have the likes of u. We appreciate ur contribution n love u for being the person that u r . Much Respect Gal. Ezinye izinja ezingasabi ezingathukanga.hoodie hoodie!